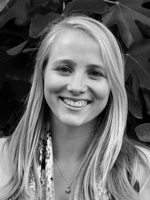 Nicola is interested in climate change ecology with a particular focus on South African ecosystems. Her DPhil research aims to understand the role that plant functional traits have in determining plant distribution and response to environmental change in functionally diverse South African biomes. This work aims to contribute to our understanding of plant strategies - mediated by functional traits - that enhance plant survival in highly diverse arid environments which are becoming warmer and drier. Nicola holds an MSc in Biodiversity, Conservation and Management (Distinction) from the University of Oxford; a postgraduate BSc Honours degree in Biological Sciences (Distinction) and a BSc undergraduate degree in Applied Biology and Ecology & Evolution from the University of Cape Town. Prior to starting her DPhil research she was a Research Assistant in both the Natural Capital & Plant Health Department and the Bioinformatics & Spatial Analysis Department at Royal Botanic Gardens, Kew. Kühn, N., Midgley, J. and Steenhusien, S-L. (2017) Reproductive biology of three co-occurring, primarily small-mammal pollinated Protea species (Proteaceae). South African Journal of Botany, 113: 337-345. Steenhuisen, S-L., Balmer, A., Zoeller, K., Kühn, N., Midgley, J., Hansen, D. and Johnson, S. (2015) Carnivorous mammals feed on nectar of Protea species (Proteaceae) in South Africa and likely contribute to their pollination. African Journal of Ecology, 3(4): 602-605.